Acupuncture is one of the oldest, most commonly used form of medicine in the world. Originating in China more than 5,000 years ago, acupuncture is currently one of the most thoroughly researched, practiced, and respected form of complementary medicine available anywhere. TCM and Acupuncture is the core medicine in China that is safe and effective. Acupuncture uses your own body’s energy to heal itself call Qi. There are normally no side effects from Acupuncture. 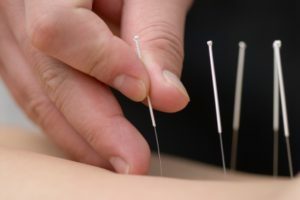 The tissue in the body normally yield and separate to allow the penetration of acupuncture needles. 95% of the time there is no bleeding. We use new needles every treatment that are properly disposed of after use. Electro-stimulation can be used with acupuncture. A weak current is attached to the needles to create a form of stimulation that is induced by an electro-stimulating device. Electroacupuncture is primarily used for pain and other chronic ailments. A noticeable pulse sensation is created that many times mimic the stimulation of the nerve pulses of the body. In China, open heart surgery and brain surgery has been performed with electroacupuncture alone with NO anesthesia! This is done with patient fully conscious and experiencing no pain. Ear Acupuncture reinforces the theory that all meridians merged in the ear. 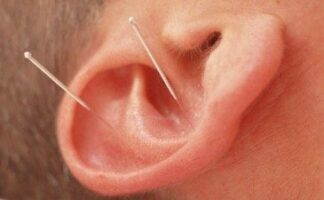 Ear Acupuncture was created by a French acupuncturist, named Dr. Paul Nogier who was trained in China. Auriculotherapy is another name for it. Scalp acupuncture has been in use in China within the last century. It is special treatment method of using long needles to thread areas on the scalp to stimulate neurological impulses in the brain. It is great for those that are paralyzed or lost control of certain motor skills.